Cybercrime is at an all-time high in today's world, which can be highly dangerous for your personal information and the safety of your family. But there are things you can do to protect yourself and your family from hackers online. Start by taking these specific steps. One of the first things you should do to protect your family against hackers is install ad blockers. Ad blockers are also highly protective against cyber criminals, who can use pop ups to steal your information or download malware onto your computer. Make sure that on your computer, you download up-to-date security programs, including anti-malware software with multiple technologies for protection against spyware. Passwords are important, which you probably already know. Specifically, creating complicated passwords, and varied passwords for different accounts can help protect your information. Having different passwords for all your main accounts online will help minimize the potential for hackers and identify theft perpetuators to be able to steal your information. In addition, make sure you change these passwords often, especially on your core accounts, like email and any bank accounts. Hopefully this isn't something you'll ever have to worry about, but it's very possible for hackers today to manipulate the built-in camera on your laptop. They are even able to use the camera to take photos and videos of you home: of you, of your family, and more. Once they have access to this information and this footage, they can sell it, hold it for ransom, and so much more. In addition, once they access your outward facing computer camera, they may also be able to access your computer screen, including the information that you frequently navigate to, which can be highly personal. To protect yourself and your family, cover the camera on your computer when you're not using it. Especially if you have children who use the computer often, you will want to take this simple protection step to keep them safe. Free, publicWiFi is nice, but it's actually very dangerous when it comes to protecting your personal information. 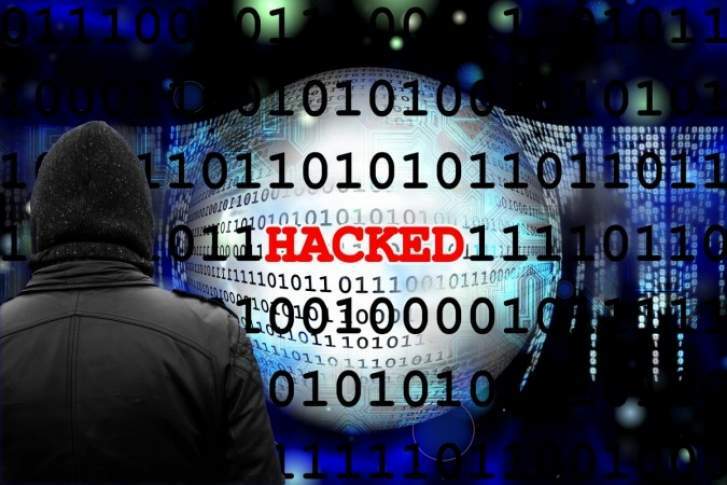 Hackers and cybercriminals are able to easily access devices from public, open WiFi networks, so you should never check your bank account information while you're in a public place, like an airport, and connected to the open WiFi network. Only check these sensitive accounts when you're at home, or protected by a private WiFi network. So many platforms are offering two-step authentication for logins, and this trend is only becoming even more popular due to how effective it is. Two-step verification helps protect your information, should someone penetrate the first layer of your security system. The two-step verification requires your authentication from a secondary device, usually your cell phone, which will help your information stay even more safe and protected. If you do it with no other platforms, be sure to enable two-step verification for your email accounts. Especially on your cell phone, but on any other devices where possible, always use passcode protection. This is the easiest way to try to protect your information, should your phone ever get misplaced or stolen. If you don't have a passcode on your phone, you're making your data easily accessible to anyone who comes across your phone. This simple step provides a barrier between your information being safe, and your information being stolen. These are a few easy steps that you can get started with to protect your family and your personal information online. When in doubt, take the security precaution: you will never regret it.